$250. 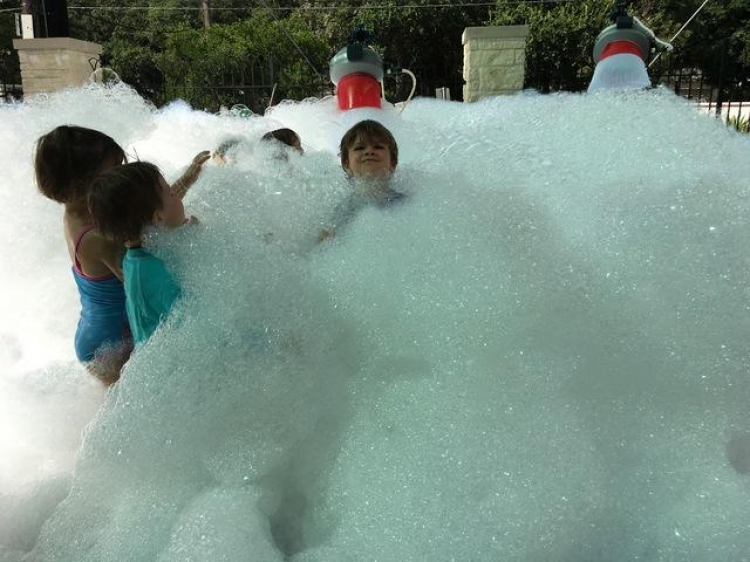 Foam will fill a 20'x20' area, up to 4' high, in approximately 3 minutes. Plugs into water source (must provide your own hose). Requires 1 110V Outlet. Foam machine comes with 3 packs of powder that will last approximately 1 1/2 hours. Additional packs are available for purchase. Foam is a natural foam solution with no fragrance, dyes, or coloring added. Board certified dermatologist approved.